and THREE papers with marvelous texture added!!! Below, if you click the preview, you will be able to download 4 extra elements also commercial use OK.
DO NOT SHARE, SEND OTHERS TO BLOG TO DOWNLOAD. Thank you so much for this post. 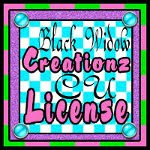 I want to let you know that I posted a link to your blog in CBH Digital Scrapbooking Freebies, under the Page 1 post on Jan. 20, 2012. Thanks again.